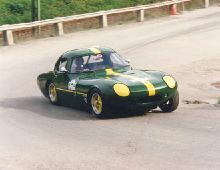 Founded in 1959 by Jem Marsh (MAR) and Frank Costin (COS) Marcos joined the ever growing list of British firms building small kit-car type sportscars. 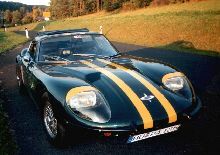 The first production model, the Marcos GT, entered production in 1960 and paved the way for a line of successful models that continues today. 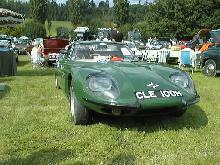 The GT came with various engine options from Ford including the units used in the Anglia and Classic. 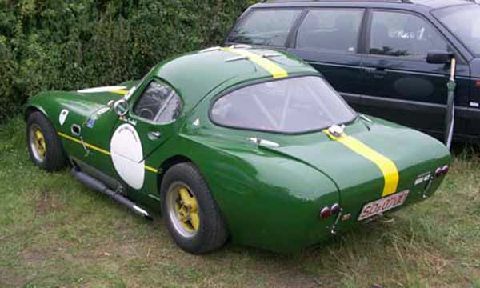 The chassis used Triumph Herald front suspension and the body was built from GRP and Marine Plywood. The initial GT coupes featured a curious roof which included "Gullwing" doors and a four piece windscreen, later cars came with a choice of fixed head or spider bodies. 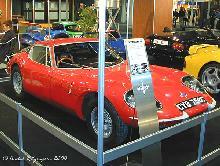 The Marcos GT remained in production until 1963.